Instagram began its life in October of 2010 as a modest social platform for sharing photos: a little of last Friday’s party here, an adorable couple picture there. And, of course, a very respectable selection of cats. Fast-forward several years, and it’s almost impossible to imagine it without ads, influencers, filter presets, and meticulously arranged layouts. In 2019, Instagram is so much more than an image-sharing app — it’s a place to make money. In just under a decade, Instagram has become the third most popular social media platform in the world, with Kylie Jenner’s posts alone worth over $1 million in equivalent traditional ad spend. But the goods news is, you don’t need to be an heir to the Kardashian fortune to monetize your Instagram. All you need is a solid followership and a little e-commerce know-how. You may think that it’s strength in numbers: the more followers you have, the better. But that’s not exactly true. If you buy 20,000 bots, you’ll definitely have a lot of followers. But bots can’t interact with your content. And what’s the point of posting content that your audience can’t interact with? Real social media strength is in engagement. Followers sharing your posts, commenting regularly, tagging their friends… All of these can earn you money — whether you have 500 followers or 500,000. And each of the tactics we’ll discuss here today rely on this active human followership for success. So the first thing you should do is work on your engagement rate. To calculate engagement rate, take your total number of likes and comments, divided by your total number of posts, divided by followers, multiplied by 100. For reference, a 2-3% engagement rate is considered average, while a 4-6% rate is considered high. There is also a variety of tools to help you calculate engagement rate, including this one from Phlanx. Okay, so you have loyal and active followers and your engagement rate is exemplary (-ish). What’s next? Well… that depends on you. Maybe you want to partner with brands as influencers. Maybe you prefer to work alone. 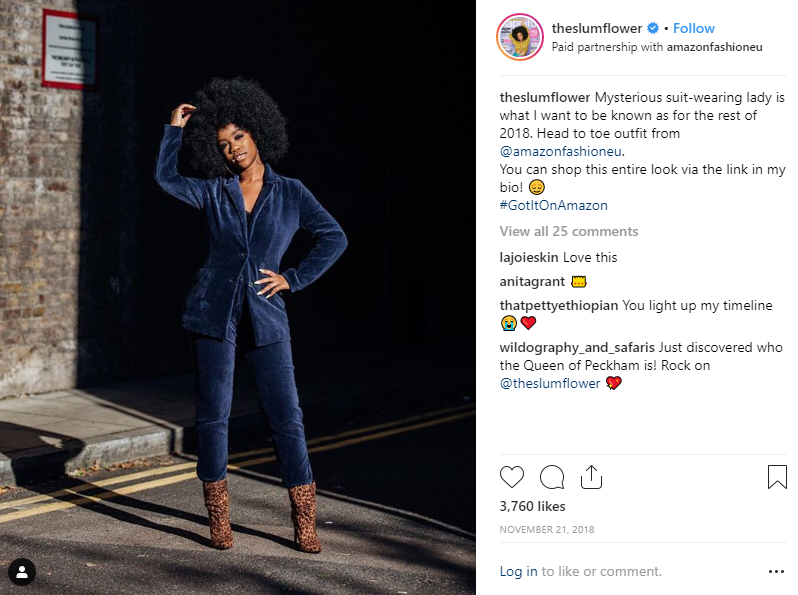 To make things a little easier, we’ve compiled seven potential tactics you can use to monetize your Instagram in 2019. And you don’t need to limit yourself to just one either! Because when it comes to making money, ya know, the more the merrier. Sponsored posts resemble regular editorial content, but instead of a picture of your favorite avocado toast, you take a fee to promote an advertiser’s product on your channel. 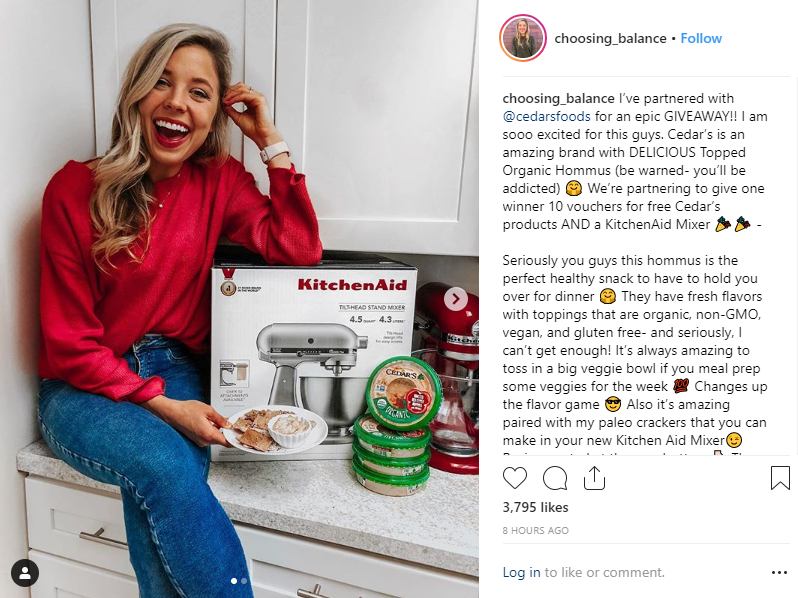 Brands love this type of marketing because consumers inherently trust an unbiased third party over the claims of a traditional advertisement. 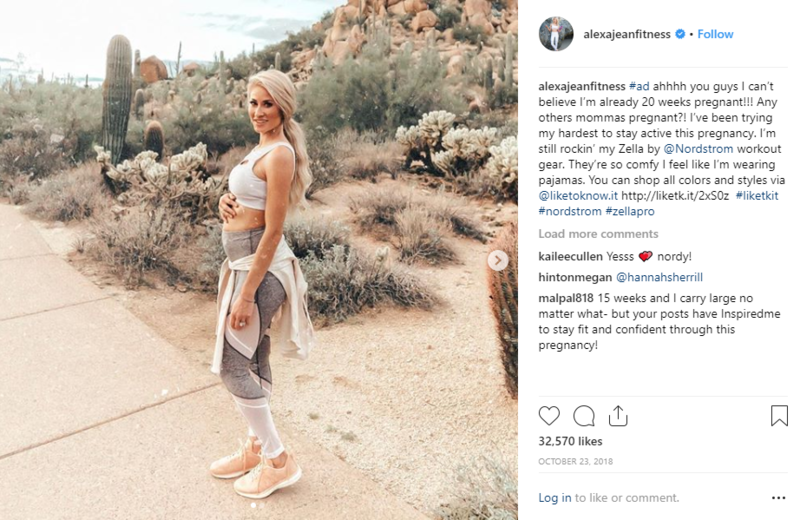 To really sell the authenticity, some influencers will even describe some of the shortcomings of a product as well. While counterintuitive on the front end, the genuineness of this type of promotion will go further than a post that merely sings the praises of its sponsor. To find brands that might be open to collaboration, check out Influence.co or TRIBE. These platforms help you partner with brands you’re already using or find brands you’d like to work with in the future. 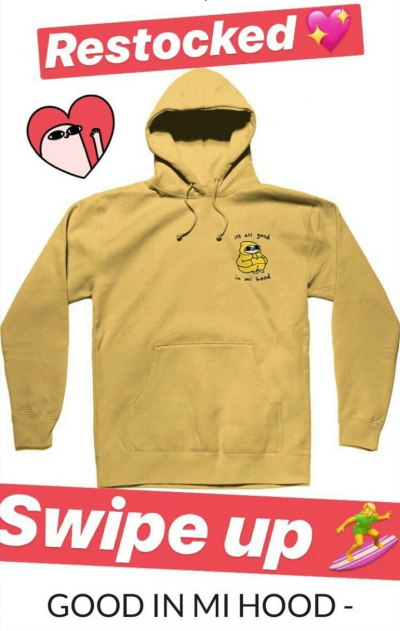 Who doesn’t love a little merch from time to time? Tons of Instagram influencers sell their own merchandise as a way to monetize their followers. Maybe you draw comics — try creating products with your characters. Are you a lifestyle blogger who gets a lot of questions about your personal photo filters? Why not offer them for a small fee on your channel? Another go-to option that fits all kinds of Instagrammers is branded merchandise. Throw your logo on t-shirts, mugs — anything that’s easy to print — and sell your brand as the product. And if you have a premium Ecwid account, that’s never been easier thanks to the Printful app, available today in the Ecwid App Store. Just upload your logo, and Printful will create and dropship your branded merchandise on demand through your Ecwid store. No order minimums or commitments required. It’s truly awesome and included free with every premium subscription. You’ve probably thought about creating your own products at one point or another. So what’s stopping you? Products that sell on Instagram range from clothes to furniture. And make sure to try out Ecwid’s Shoppable Posts, which allow customers to complete purchases in the Instagram app. Help your audience by offering your niche skills as courses or downloadable guides. New languages, healthy eating, photo editing… whatever your expertise may be. Use your Instagram bio to direct potential customers to a work email or a link to your website. Create videos, challenges, or marathons to keep your audience interested. Giveaways and contests can help expand your audience and promote your burgeoning online business to potential customers. It could be a repost giveaway, a submission contest, a raffle, or whatever else comes to mind. Choose the format that best fits your goals for your audience. Then come up with a prize that’s worth your audience’s efforts — the best is something that’s related to your niche. Make sure the rules are clear, create a hashtag, and promote your giveaway on other platforms. You can partner with influencers or brands, or throw your contest all by yourself. Don’t forget to check that you’re in compliance with Instagram’s rules for contests for contests before you start. In affiliate marketing, a brand rewards its affiliate (you) for each visitor or customer brought by the affiliate’s own efforts. You can sell affiliate products via special links or promo codes, but the latter is more suited for Instagram since you can’t put a link outside your bio. Think about brands that could be useful to your audience, then check to see if those companies have affiliate programs. Chances are good that they probably do. Reach out to them directly or use services like ClickBank or Amazon’s Affiliate Program to get started. And if you have an online store with Ecwid, it can work the other way too — create coupon codes for your shop, then reach out to influencers to promote them. To start making money on Instagram, you need to grow a solid followership first. Pay attention to engagement rate — aim for 4-6%. Sponsored posts resemble editorial content but also advertise a product. Consumers trust sponsored posts because they appear more authentic. One easy way to create and sell merchandise is to print your logo on different products through the Printful app. You can also sell products you’ve created yourself. Instagram Shoppable posts make purchasing easier for customers. Offering learning opportunities is a low-cost option for those who have niche-related skills. You can collaborate with other brands or work independently to throw giveaways and contests. Choose a good prize, make the rules simple, and don’t forget to create a hashtag and check for compliance with Instagram’s contest rules. You can also earn money by driving online traffic to another brand’s store through affiliate marketing. Affiliate products can be sold via special links or promo codes. Choose a method that works for you, or try them all to see what sticks. And don’t be afraid to make a few mistakes along the way — it’s all part of the learning process. Already making money on Instagram? Tell us about your journey or ask questions in the comments!